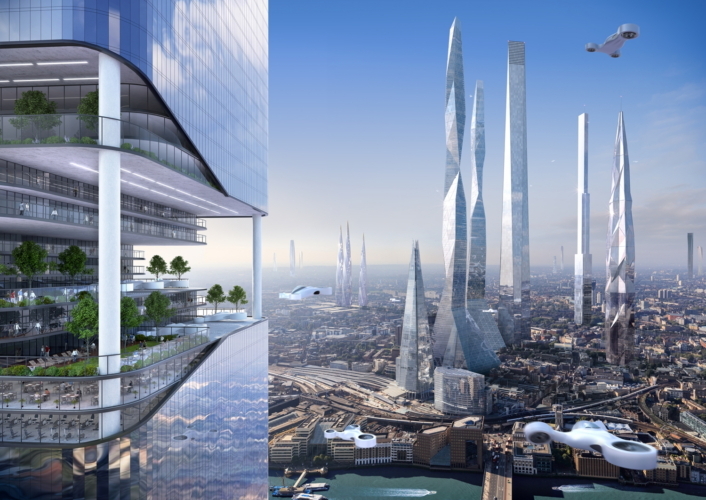 Super-skyscrapers which will dwarf the Shard, under water bubble cities and origami furniture are all likely to be reality in 100 years’ time. 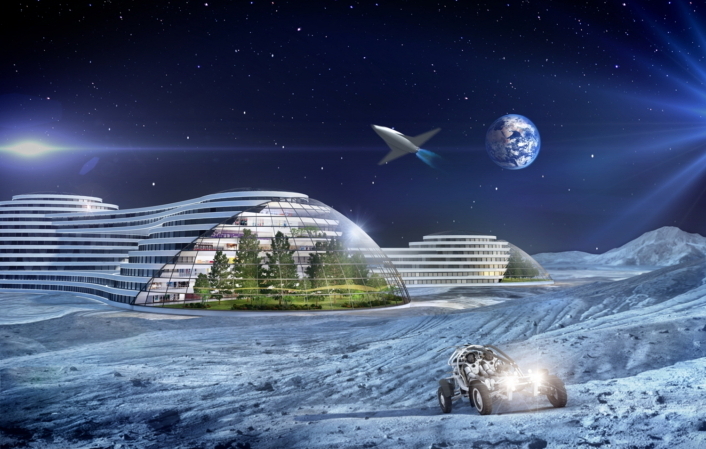 That’s the verdict of a new study which paints a vivid picture of our future lives; suggesting the way we live, work and play will change beyond all recognition over the course of the next century. The SmartThings Future Living Report was authored by a team of leading academics including TV presenter and one of the UK’s leading space scientists, Dr Maggie Aderin-Pocock, award-winning futurist architects and lecturers at the University of Westminster Arthur Mamou-Mani and Toby Burgess, as well as pioneering urbanists Linda Aitken and Els Leclerq. The report was commissioned on behalf of SmartThings, a system which easily allows people to make their home smarter, meaning that at any time and from anywhere it is possible to switch on lights, turn up the thermostat or unlock the back door, all via a simple app or automatically through our daily routines – something that might have seemed like science fiction as little as 10 years ago, but today is a reality. 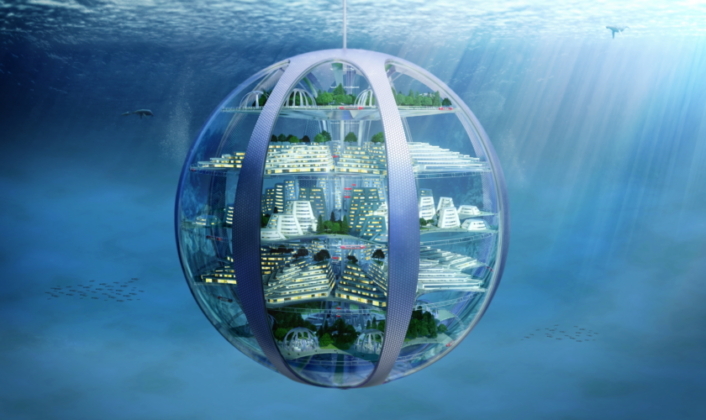 The predictions for how we will live in the future have been brought to life via detailed animated architectural renders which show a futuristic London skyline where high rise apartments dwarf Europe’s highest building, The Shard, and show drone transportation and bubble-like underwater cities. Many of the predictions were influenced by environmental conditions, with growing populations leading to the development of structures that are better able to cope with space constraints and diminishing resources. On top of looking at how we will live in 100 years’ time, SmartThings surveyed 2,000 British adults to pinpoint the predictions the nation thought were most likely to become a reality in the future. 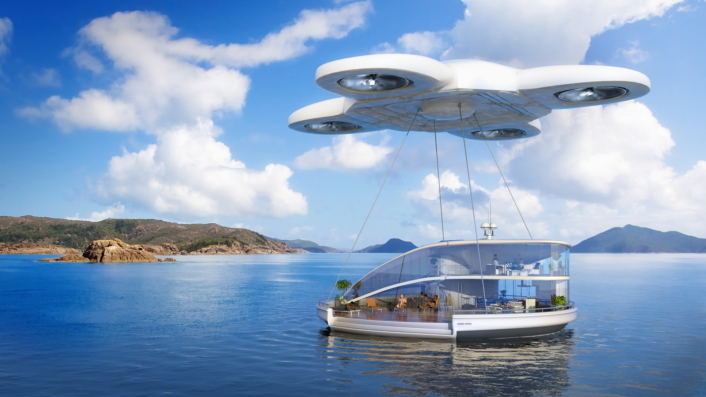 The survey shines a spotlight on the public perception of the future and suggests that building further into the sky, and colonising oceans are believed to be the biggest future trends as space and resources become scarce. Space Scientist Maggie Aderin-Pocock, who co-authored the report, commented: “Our lives today are almost unrecognisable from those a century ago. The internet has revolutionised the way we communicate, learn and control our lives. Just 25 years ago, technology like SmartThings would have been inconceivable, yet today, developments like this let us monitor, control and secure our living spaces with the touch of a smartphone. Over the next century we will witness further seismic shifts in the way we live and interact with our surroundings – working on The SmartThings Future Living Report with a panel of industry experts, has allowed me to explore what these could be. James Monighan, UK MD of Samsung SmartThings, which commissioned the report, says: “The smart home revolution will have massively positive implications on how we live. Our homes are becoming smarter and can now detect the presence of things like people, pets, smoke, humidity, lighting, and moisture. And this is just the beginning. The report has been published to coincide with the announcement that from the start of 2016, SmartThings will work with hundreds of products from a wide range of brands, as well as working with all of Samsung’s TVs as well as refrigerators, washer machines, ovens, and robot vacuum cleaners. SmartThings is the easiest way to turn a home into a smart home, bringing users peace of mind, savings, and convenience. As an open platform with a thriving ecosystem, SmartThings also brings users freedom of choice in devices and limitless possibilities. Since SmartThings was acquired by Samsung in August 2014, the team has tripled in size, tripled developer activity from a community of over 20,000, and has one of the largest ecosystem of compatible devices. SmartThings is headquartered in Palo Alto, CA and operates independently as a wholly owned subsidiary of Samsung Electronics.